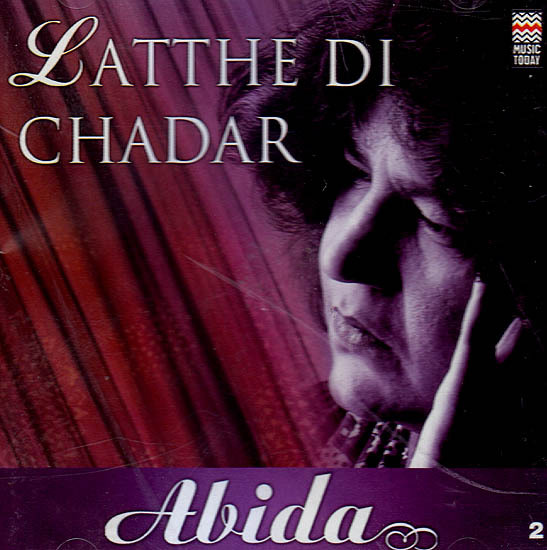 Abida Parveen is the undisputed queen of ghazal and sufiana qalam. To hear her is to be in the presence of divinity. Initially touted as the heir to the crown of qawwali king Nusrat Fateh Ali Khan Abida now weaves a magic all of her own as she enchants audiences all over the world. The icon of Sufi mysticism, Abida Parveen is the only woman Sufi singer in the history of this genre. She is a phenomenon who continuous to electrify the Sub continent with her powerful voice. Born in Larkana, Sindh, Pakistan in 1954, Abida was brought up in an environment of deep mysticism, poetry and music of Sufi saints. She received her initial music training from her father who also ran a music school and then from the legendary maestro Ustad Salamat Ali Khan of Sham Chaurasi gharana. Unlike most women artistes who are known to have given up their musical ambitions after marriages Abida’s singing career took off after her marriage to Ghulam Hussain Sheikh a senior producer in Radio Pakistan. Her full throated style is one of the most unique qualities of her singing. The robust voice has a haunting quality which leaves the listeners mesmerished be it a sufiana qalam or a beautiful ghazal. Her classical background gives her command over ornamentation and control over notes. Her rendition of compositions and delivery of poetry is soul stirring to say the least. Although a hint of Begum Akhtar’s influence is evident Abida has an inimitable style that remains unparalleled. The intensity she brings to singing makes her a compelling artiste. The magic of Abida lies in her selection of qalam as well. Her repertoire is a treasure house of qawwalis Sindhi and Punjabi Kafis of great sufi poets and ghazals. Some of her most popular numbers include Are logon tumhara kya, tere ishq Nachaya, ho Jamalo, folk melodies like Latthe di Chadar, Dach waleya and Ghungarva and ghazals like kal Chaudhvin ki Raat and Jabse tune Mujhe Deevana Bana Rakha hai. The golden voice continues to reverberate in the hearts of million of her fans across the globe.